The Emergency Department at Huntington Hospital is a nationally recognized ED that delivers expert care 24 hours a day, 7 days a week to the residents of the Town of Huntington, the North Shore of Suffolk County and beyond. 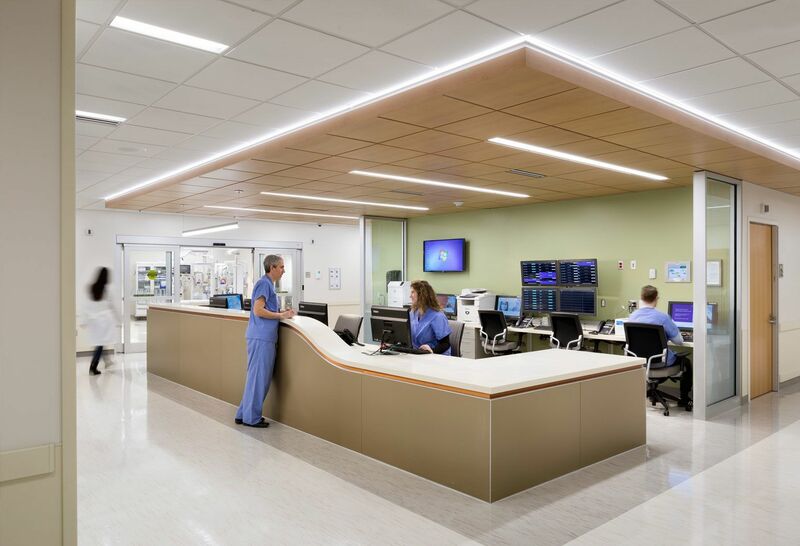 Our state-of-the-art Emergency Department (ED), opened in 2017, has doubled in size and provides a simpler, more streamlined process so you or your loved one can receive treatment faster. 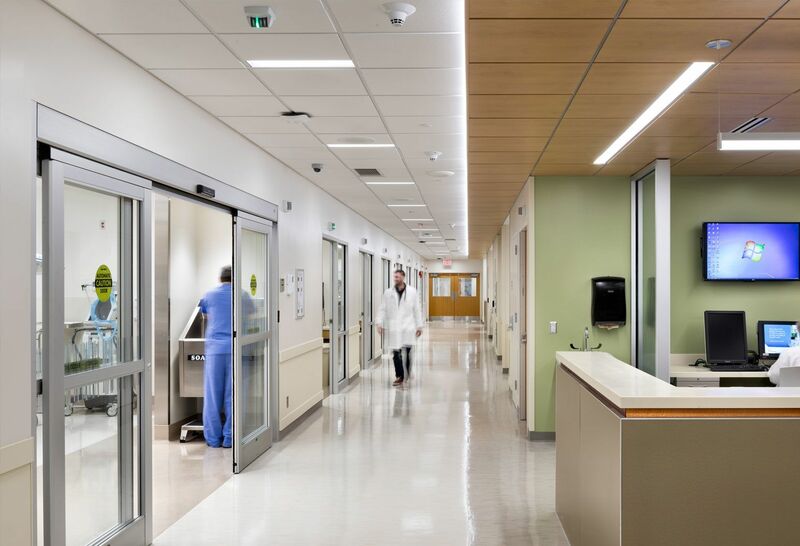 We're an integral part of Huntington Hospital and are seamlessly connected to the full resources of Northwell Health, the largest health system in New York state. 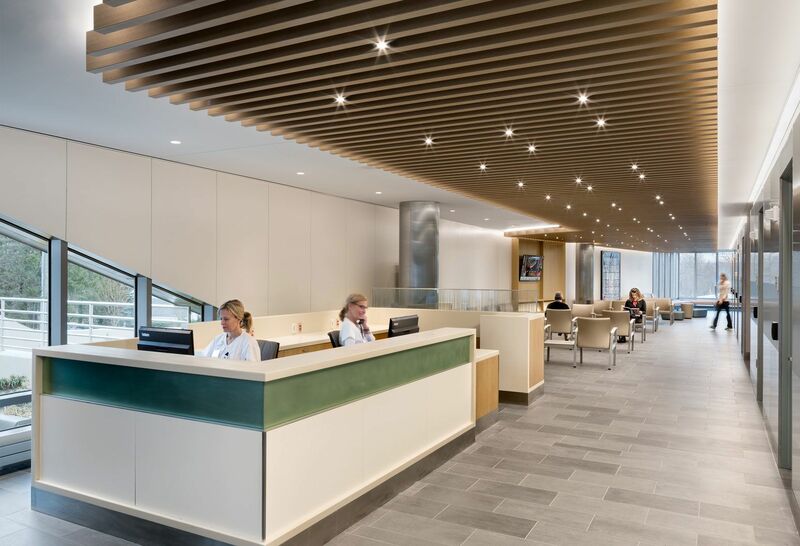 We can accommodate 64,000 patients a year and offer decreased wait times, comfortable waiting areas and on-site radiology tests. For very serious, life-threatening conditions requiring a higher level of care, seamless transportation is available from Huntington Hospital to the most appropriate Northwell Health hospital by our dedicated ambulance service and SkyHealth helicopter. If you come to the emergency department by car, look for the emergency entrance on the side of the hospital. If you arrive by ambulance, you will enter through the dedicated ambulance entrance. 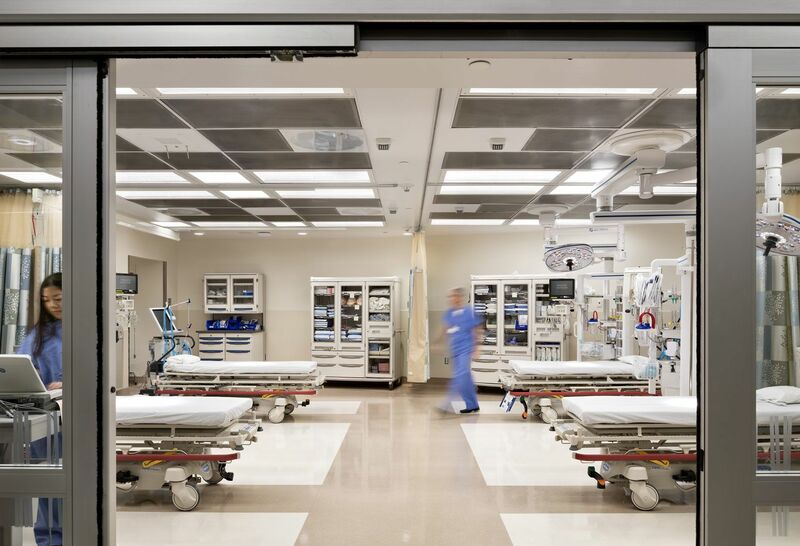 Our ED offers a clean, comfortable, welcoming place for every patient. Take a look at some of its features here. We’re here for all your emergency needs, both big and small. Our specialists treat adults and children for everything from serious medical conditions such as heart attacks, strokes, and infections to minor emergencies like broken bones, colds, and asthma attacks. Stroke Center certified by New York state—We have earned the Gold Plus Award from the American Heart Association/American Stroke Association’s Get With the Guidelines program, which recognizes the hospital’s commitment and successes in implementing a higher standard of stroke care to ensure stroke patients receive treatment in accordance with the latest evidence-based guidelines. ACS designated Level III trauma center—This designation means that Huntington Hospital's Emergency Medicine Department has physician specialists including neurosurgeons, pulmonologists, intensivists, trauma surgeons, anesthesiologists and orthopedists on call 24 hours a day to provide immediate state-of-the-art care to all trauma patients, including those involved in serious accidents. Other features of a Level II trauma center are the presence of an in-house lab, advanced life support immediately available on air and 911 and long-distance transport. Huntington Hospital is one of only four hospitals in Suffolk County named an Area Trauma Center. Designated level II neonatal critical care center—Our ED has been designated as a level II neonatal critical care center by the American Academy of Pediatrics for our ability to provide advanced critical care to infants who are ill or injured. With our many new features, we have the enhanced capabilities to reduce wait times and treat you and your family quickly and effectively. If you arrive with a minor injury or illness, you will be directed to the express care area; if suffering from a more complex and acute condition, you will be moved to the main treatment area or trauma area. 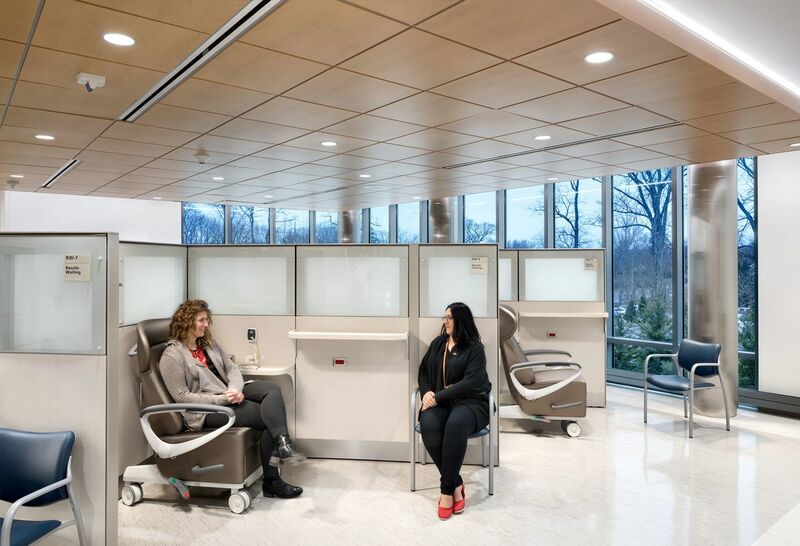 Our express care area is a dedicated area of the Emergency Department for people with less serious injuries and illnesses. This separate area and process ensure treatment for minor injuries and illnesses will not be delayed if a patient with a very complex or serious condition comes in. Receiving expert treatment for strokes can mean the difference between life and death. We see all stroke patients in a timely manner to ensure their needs are addressed and care is received accordingly. As a designated Stroke Center, we offer the most advanced training, personnel, and equipment to provide state-of-the-art care to patients suffering from ischemic strokes (the most common type) and hemorrhagic strokes. We are one of the few hospitals in the area that can perform emergency percutaneous coronary intervention (PCI) – a technique acknowledged as the optimal way to treat heart attacks as they occur. We have the latest technology and the necessary personnel 24 hours a day, 7 days a week, to immediately open blocked heart arteries as necessary. 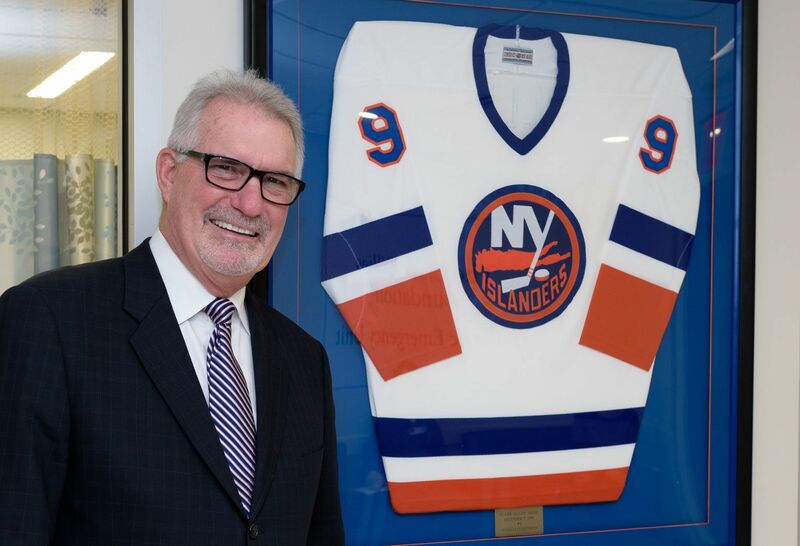 Huntington Hospital is a PCI leader in New York state. We have performed more than any other community hospital in the state. As a Hypothermic Treatment Center, we also provide therapeutic hypothermia treatment services. This type of therapy can be beneficial if a patient's heart stops and the heartbeat is restored but he or she remains unconscious. This treatment is recommended by the American Heart Association for patients who meet certain criteria. Hypothermia therapy is the only tested and proven intervention for preserving neurologic function after a patient survives cardiac arrest. 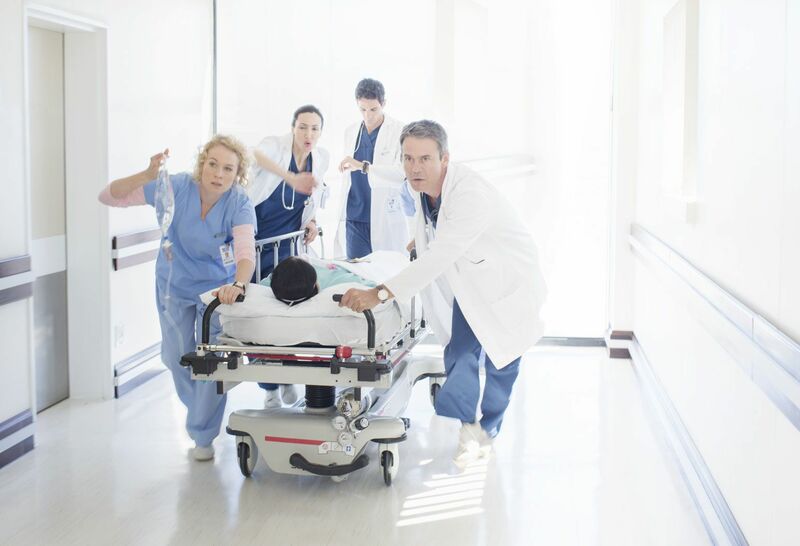 Huntington Hospital also uses sophisticated technology that allows pre-hospital medical care providers to communicate a heart attack patient’s condition quickly to physicians in the Emergency Department, speeding up the process of beginning critical, lifesaving care. This system lets healthcare workers in the field securely transmit information about the patient’s initial electrocardiography (ECG) exam so the team can start preparing for treatment. We provide expert care to patients with traumatic injuries that could possibly result in the loss of a limb or life. Examples include blunt trauma, serious motor vehicle accidents, falls, etc. Our Emergency Department features a designated trauma room with the ability to treat four patients simultaneously. As an ACS Level III Trauma Center, we have physician specialists including neurosurgeons, pulmonologists, intensivists, trauma surgeons, anesthesiologists and orthopedists on call 24 hours a day to provide immediate state-of-the-art care to all trauma patients. Careful evaluation and dedicated, specialized treatment areas are available for patients with behavioral health, bariatric and OB/GYN emergencies. Our specially designed rooms for patients with obstetrical and gynecological concerns and postpartum needs offer all the necessary equipment and diagnostic services for obstetric and gynecologic care — including ultrasound — all in one room, so patients don’t need to be moved from space to space. Specially designed rooms with appropriate equipment and supplies help ensure bariatric patients receive the care they need and are treated with the dignity they deserve. We also offer 24-hour evaluation and specialized treatment for individuals with psychiatric emergencies. Our dedicated, child-friendly area of the Emergency Department has private treatment rooms and waiting areas to ensure comfort and privacy during our littlest patients’ stays. All of the pediatric unit’s physicians and staff are certified in providing pediatric life support. Since most pediatric emergencies fall into the “minor” category, young patients often receive care in the Emergency Department's express care area. Child-size devices are available there for pulse, blood pressure and other exams. However, pediatric emergencies do happen, and they can be scary for children and parents. We make sure to explain everything ahead of time to help keep parents informed and reduce anxiety - and when parents feel less stressed, so does their child. Seamless transfer to Cohen Children’s Medical Center is available for children who require more advanced care for a very serious, complex illness or injury. 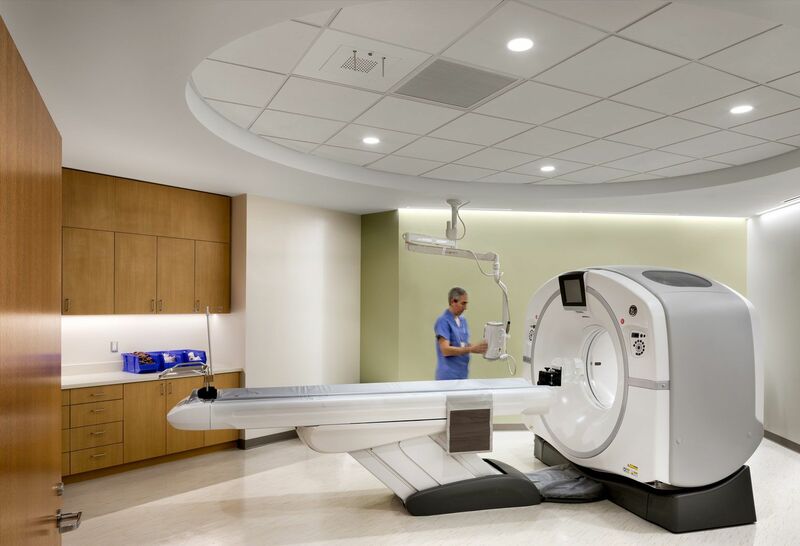 We provide a dedicated radiology area featuring X-ray and 128-slice, low dose CT scan capabilities. With on-site radiology, your emergency medicine physician will have real-time, definitive information to help guide your treatment plan. Your other physicians affiliated with Northwell Health also have access to our scans for follow-up care. Take a look inside our award-winning ED with our virtual tour.